Home › [Newest Upgraded Version]Keten Ps4 Vertical Stand With Cooling Fan+ Controlle..
[Newest Upgraded Version]Keten Ps4 Vertical Stand With Cooling Fan+ Controlle.. Whisper Quiet Fans: Keep your PlayStation 4 Console from overheating during long continuous gaming sessions. Simple Setup: Just place your PS4 in the stand and connect the built in cable. This little USB cable powers everything. The hub and the fans will have power along with the charge slots. 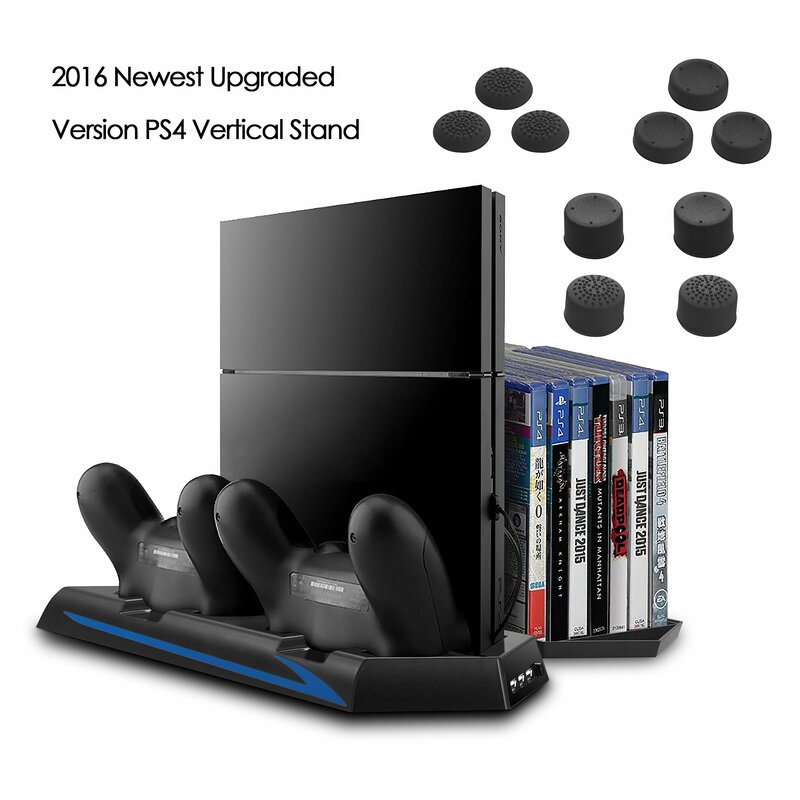 Dual Controller Charging Docks: The stand has two fitted slots for storing and charging your controllers. Just put your controller into the stand after a playing session, and the it will be fully charged the next time you pick it up. Add-on Game Disc Segments: Features up to 14 slots to hold the game cases in an upright position and 2 non-slip covers to keep your console steady.